One of the most commonly sighted aquarium decorations is driftwood. It looks fantastic, it’s natural and it makes fish feel more at home. However, have you ever thought about using driftwood in a betta tank? If you’re planning on using driftwood in a betta tank then you need to make sure it’s safe. There’s a process you need to follow to make sure that it’s safe, as well as things to watch out for. In this guide, you’re going to find all that out and more! 1 What Is Aquarium Driftwood? 3 Is Driftwood In A Betta Tank Harmful? 4 How Do You Prepare Driftwood For A Betta Tank? Driftwood isn’t just used for betta tanks. It can also be used for home decorations, reptile tanks and much more. There are so many different types of driftwood (which you’ll find out about later) and as long as they’ve been properly treated they all look great in betta tanks. For the most part driftwood is only used as a decoration in betta tanks, however, it does have many great benefits besides this. Depending on the size and shape of your driftwood it could provide the perfect hiding place for your betta. If it’s high enough and has big enough gaps in it then your betta will love it. And on top of that, if you’re housing your betta in a community tank, then the other fish are going to love it too. Especially bottom dwellers that like places to hide. And because you’re providing a hiding place for your betta and other fish they’re going to feel safer. And because of this safety, they’re going to be more confident in your tank and will often swim more openly. Everyone knows how important beneficial bacteria is to the health of your tank. Without enough bacteria, ammonia can’t be broken down and it will begin poisoning your betta. However, adding driftwood to your tank will help stop this. Just like your filter, substrate and any plants in your tank, driftwood is the perfect place for bacteria to grow. With this added bacteria in your tank, ammonia and nitrate are going to be less harmful to your betta. This will reduce any stress your betta may have felt and will also improve his immune system! Some plants such as java moss don’t have roots. Instead, they have rhizomes which grapple onto surfaces and hold them in place. One great surface for this is driftwood. Because it has a lot of nooks in it, it’s perfect for any rhizome to latch too. And there’s also the added benefit that growing plants on driftwood looks fantastic and gives the tank a more natural feel. It may seem far fetched but adding driftwood to your tank is going to improve the conditions of the tank. When you add driftwood to your tank it’s going to leach tannin’s into the water. Tannin’s cause the water to become more acidic making it harder for viruses, parasites and some bacteria to flourish. Lastly, there are also the aesthetic benefits of keeping driftwood in your tank. If you like aquascaping or want a more natural looking tank then driftwood often makes a great centerpiece. It has so many different unique shapes which you can grow plants off or keep bare. And if you allow the driftwood to leech tannin’s into the water for long enough you’ll also get the blackwater effect. This is an effect that many fish keepers like where the water looks darker and almost tea colored. This gives the whole aquarium a more natural feel. Is Driftwood In A Betta Tank Harmful? Driftwood can be harmful in a betta tank if you don’t pick the right type. However, as long as you’re careful and you take the necessary precautions then there won’t be any problem. After all, thousands of people keep driftwood in their betta tanks without any consequences. Here are some things to watch out for. A bettas fins and tail are extremely delicate so it’s not hard for them to tear on things. When you’re looking for driftwood to add to your betta tank, make sure you’re picking the right piece. If you can’t find any suitable pieces of driftwood, one solution is to attach java moss across everything. By doing this you’re going to soften the sharp edges making it safe for your betta. In fact, the soft edges will make a perfect place for your betta to hide in. As well as making sure the edges aren’t too sharp, you also need to be aware of pH changes. As previously mentioned, when you add driftwood into your tank, it’s going to leach tannin’s into the water making it more acidic. Just remember, while your betta can survive in slightly acidic water, you don’t want the pH to be too low. Some ways you can keep the pH more steady is by soaking the driftwood for a couple of weeks beforehand until most of the tannins have leaked out. However, you should be aware that the pH change does take time, and won’t happen instantly. How Do You Prepare Driftwood For A Betta Tank? Preparing driftwood for your betta tank is a simple process, but one you shouldn’t skip. Even if you bought driftwood designed for aquariums you should still prepare it. If you don’t make sure driftwood is clean then you could introduce parasites and algae into your tank. To clean driftwood the first thing you should do is a get a bristle brush or scrubber and begin scrubbing the driftwood all over. Scrubbing driftwood hard is going to remove any parasites and dirt off the driftwood. Once you’ve removed debris from the wood it’s time to sterilize the driftwood. There are two ways you can do this. Some experts recommend that you sterilize driftwood with bleach, however, if you don’t rinse all the bleach off it thoroughly it can poison your betta. To sterilize your driftwood with bleach you should fill a bucket up with water and then add bleach. You should have a ratio of 5% bleach to 95% water. Once you’ve done this add the driftwood into the bucket. Leave the driftwood in the solution for 15 minutes. After this, you should soak the driftwood in water for a couple of weeks. Make sure the water is dechlorinated. You can do this by either using distilled water or a water conditioner on tap water. Whenever you notice the water becoming a dark tea like color then you’ll need to replace the water. As well as sterilizing driftwood you can also boil it. This is definitely the preferred method, however, it can only be used on smaller pieces of driftwood. To boil driftwood, find a pot that’s big enough to hold your driftwood completely submerged. Once you’ve found one, bring it to boil and add your driftwood. You should allow the driftwood to boil for 2 hours. Doing this will speed up the process of leeching that would normally take a couple of weeks in normal water. As well as this boiling driftwood is also going to sterilize it removing any algae spores, parasites and bacteria from it. Once you’ve boiled your driftwood make sure you rinse it in dechlorinated water before adding it to your tank. Now that you know the benefits of driftwood and how to cleanse it, the next step is figuring out which type you want. All of them are going to make great additions to your tank so it’s all down to personal preference. Here are some of the best-looking types of driftwood to choose from. Malaysian driftwood is one of the most commonly seen pieces of driftwood in aquariums. While it’s normally used in bigger aquariums, you can add smaller pieces to your betta tank. Because of its dark color if you don’t prepare the driftwood thoroughly beforehand then it’s going to cause the water to go brown. If you like this look it doesn’t matter, however. And lastly, remember it’s also going to lower the pH of your tank, so if you already have acidic water you may want to avoid it or add a calcium-based decoration to even it out. Rosewood roots are also a great choice. Because of their shape, when you plant them into your tank facedown, they can often make great tunnels for your betta to swim through. And if you cover them in java moss and let it grow, it will also turn into a nice hiding place for your betta. Rosewood root is a bit more difficult to find though. So if you do find it, you should buy it quickly! Another popular piece is cholla wood. While it won’t impact your betta as much as other pieces, it still looks interesting. Unlike other types of driftwood, it’s covered in small holes. While this looks amazing it does lower the length of time cholla wood will survive in your tank. Cholla driftwood is best used as an anchor for plants as it’s perfect for their rhizome to grapple on to. As well as this, because of it’s large surface area it’s also going to be a perfect place to harbor beneficial bacteria. Mopani wood is another extremely popular piece of driftwood that is found in many tanks. Your betta will also love it, as often times it has quite a lot of height to it, giving your betta something to swim around. If you’re going to buy Mopani wood, I recommend Fluval’s Mopani Wood. It has a sandblasted finish which means it’s not going to change the color or pH of the water! These are just a few types of driftwood you can add to your tank, however, if none of them take your fancy don’t stop looking. There are plenty more to choose from! You shouldn’t use reptile driftwood in your betta tank. Even though it may look the same, it could have been treated with chemicals. While these chemicals are fine in terrariums they could leak into aquarium water causing damage. As tempting as it is, you should avoid driftwood that you find in nature. You have no idea what’s growing on it and how dangerous it’s going to be for your tank. Also, they haven’t been cured properly so they’ll end up rotting in your tank. No matter what you do, some driftwood is going to float, this is more common in larger bits. If you notice this happening you may have to anchor it down. If driftwood is leaking too many tannins into the tank then you should use a chemical filter media to clean it up. Activated carbon is great for this. Driftwood is a great addition to any tank, including betta tanks. If you’re going to use driftwood in your tank make sure you clean it thoroughly first. And remember there are lots of different types to choose from so take some time to look around and see what you like best! Do Bettas Need Air Pumps? 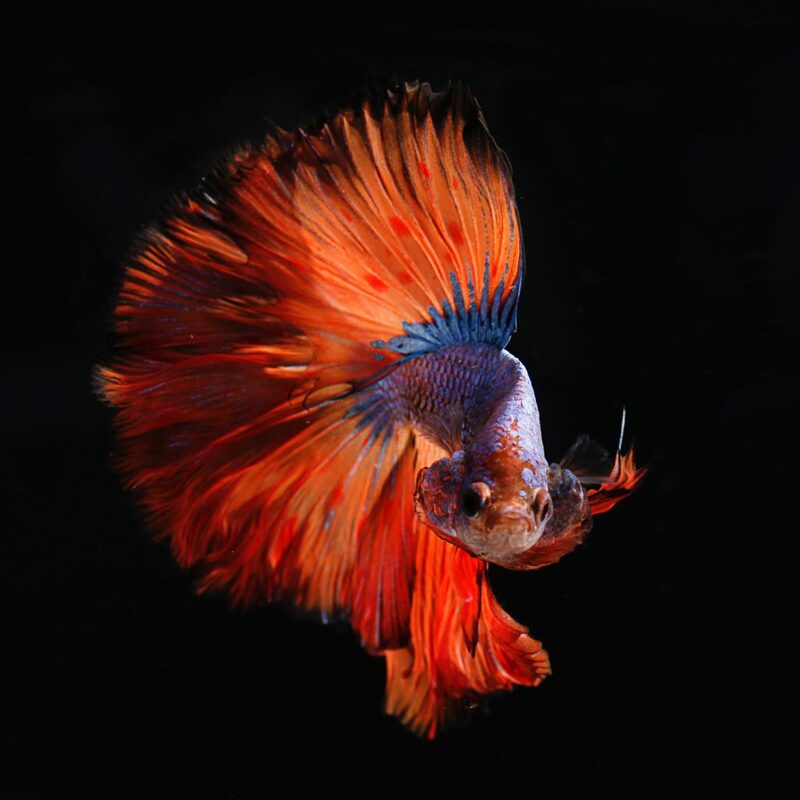 Betta Fish Light – On Or Off At Night? 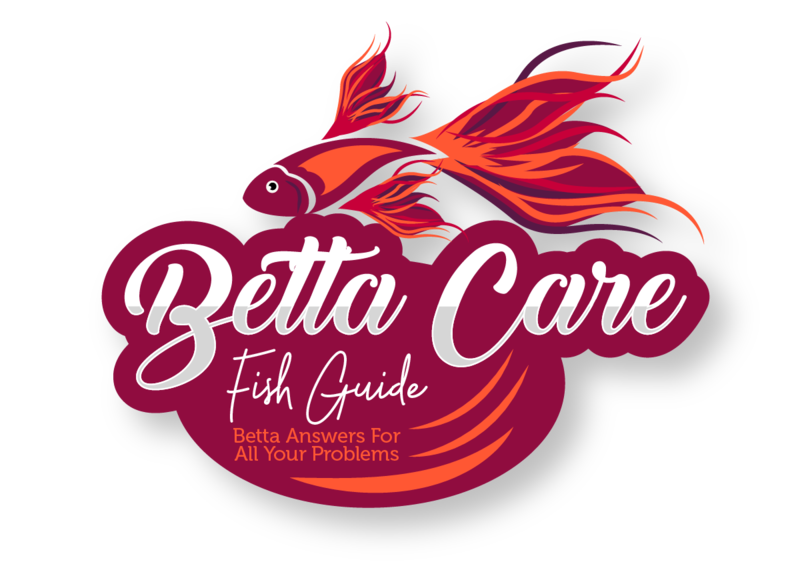 Betta Care Fish Guide is a participant in the Amazon Services LLC Associates Program, an affiliate advertising program designed to provide a means for us to earn fees by linking to Amazon.com and affiliated sites.